I believe this is the best food in the world. It strengthens the energy bodies unlike any other food. Probably because the phytoplankton is signature is to convert sunlight into matter. Perfect for helping our light bodies stay healthy and complete. 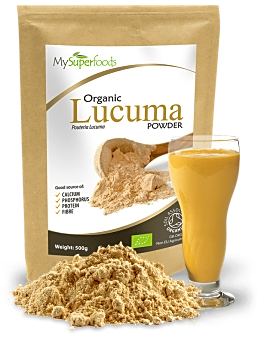 I have been pinching my nose and slugging this down... cant believe how something that is so yucck in taste can be so beneficial. Definitely feeling the benefits.. just wish there was a better way to consume it! I actually bought this for me to lose weight but I have not noticed a change on my weight yet.. Though I love this feeling that I am always on the go! I will continue using it as I happen to like feeling like this. It can not hurt since it is a great supplement and there’s nothing harmful in it. 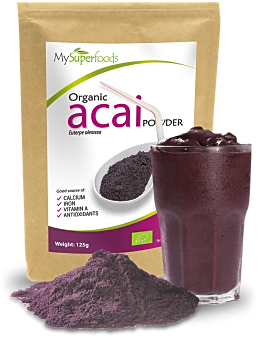 This is my 3rd order with Mysuperfoods. The reason i decided to post this review was their amazing customer service.. It was the first time i was trying their Spirulina powder (having stuck to capsules previously) i was hesitating because of everything i heard about the taste. When i shared the concern with them.. not only did they tell me that if I did not like the product after trying it.. i could send it back for a full refund.. they also send me a couple of starter recipes and communicated with me a bunch of times to see how it was going. That is above and beyond i have ever experienced with any other seller. A bit about the product. I just could not have it raw ..i am a fussy eater as is.. so drinking it with water with its fishy/grassy taste was a no no for me. Luckily the recipes they gave me to try hit the spot and i am going through the pouch very very fast..happy customer here.. good product, great customer service guys. I first bought this product from a local store and was very expensive. I decided to try and find it on amazon who I know sell everything you could think of and to my surprise there it was! It was even a lot cheaper. 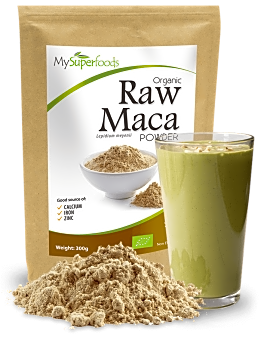 I am so in love with this product because it gives me energy, I do not get tired and hungry easily! 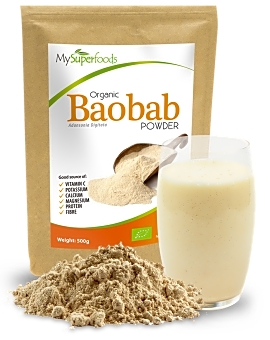 Baobab from MySuperfoods is great value for money. I got tired of taking multivitamins because they hurt my stomach. This powder works great. It is all natural ingredients mean no bad reactions to taking it and I feel alot better. More energy and feeling great. I already got more for my mom to try! 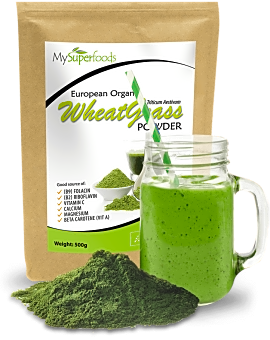 I have been taking Chlorella sold by MySuperfoods for 2 years now. I take 1 tablet before each meal for a total of 3 tablets a day. I am 74 years old. My health is excellent. Blood pressure is normal. I am more active and I can exercise daily. Well yeah, the first time i took it, the taste was terrible. But a little easier to take it when mixed with smoothies, coffee or milk. Ive been using it for almost a week now and noticed a drastic improvement in the hormonal imbalance symptoms I was suffering. I strongly recommend this for all women who are planning to switch into a healthy lifestyle. This supplement gives me the boost of energy I need while keeping me from continually eating. It definitely saves me money on and is healthier than energy drinks. I can feel sustained throughout the day which gives me more time to focus on things like work rather than snacks and drinks. Happy to give this product a recommendation ! 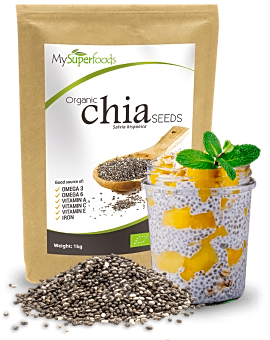 These chia seeds are of superior quality and they really are the best, out of the many that I have tried. They are high in fibre content and the best part is that these are organic seeds. I make it a point to have them with my morning cereal every day. And they aren’t expensive at all. Alright, look i can not mix this with other stuff like berries or juices as i personally feel for maximum benefits it needs to be taken on its own... and to do so, you will need to hold your breathe and just chuck it all down! but it works like a charm! you will feel the difference in just a few days! glug it down folks!